The story of Sir Gilbert Mackereth, former Commanding Officer of the 17th Battalion, the Lancashire Fusiliers continues. Sir Gilbert, as you will remember from the national papers, was evicted from his grave in 2009, by the authorities in San Sebastian due to unpaid taxes. Following a considerable amount of footwork by Terry Dean of the Western Front Association and Friend of the Fusilier Museum, the remains of Sir Gilbert have been returned to this country and will be interred in the refurbished Gallipoli Garden. Sir Gilbert's story is fascinating and combines two of the regiments that were to become the Royal Regiment of Fusiliers. He was born in Salford in 1892 and was educated at Keswick Grammar School and then Manchester University. It was from the University that in 1914 he joined the 21st Battalion Royal Fusiliers, which was part of the University and Public Schools' Brigade. 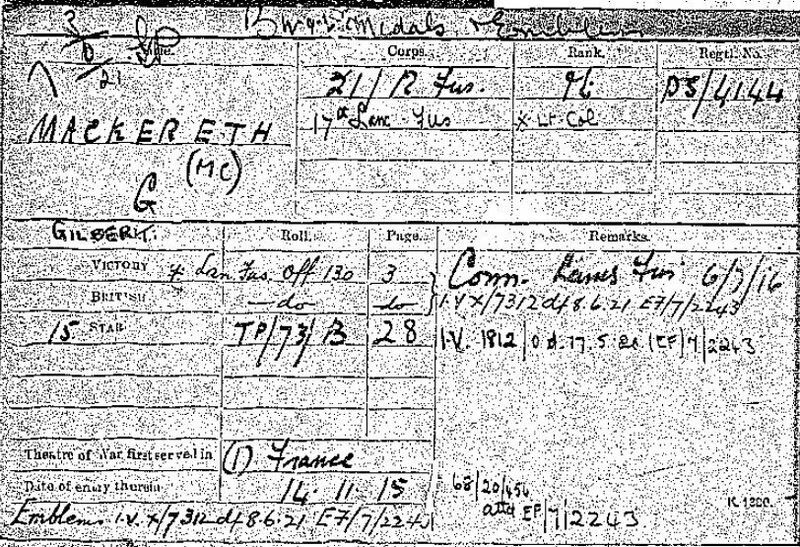 He travelled to France in November 1915, spending three months in the trenches east of Bethune. It is of significance that the Colour of the 21st Battalion still survives and is currently part of the Royal Fusilier Collection in the Tower of London. In 1916 Sir Gilberth was selected to become an officer and on completion of his training in Oxford, he joined the 17th Battalion the Lancashire Fusiliers in France, east of Arras. It was during the action by the 17th Battalion to capture Gricourt in April 1917, that Sir Gilbert saved a patrol that had been cut off by a German machine gun post. He was awarded the Military Cross for his bravery. In August he was seriously wounded near Cambria and was hospitalised in Manchester for several of months. He returned to France in July 1918 and took command of the 17th Battalion in October remaining in post throughout the final British offensive of the Great War. Mike Glover and Terry Dean of the Western Front Association. Sir Gilbert makes it home. The Spanish grave of a British World War I hero has been saved after an appeal to trace his relatives. 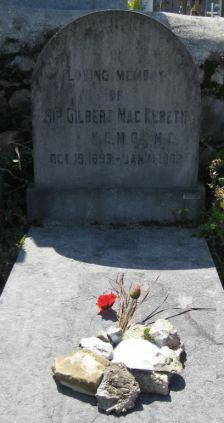 Authorities were threatening to exhume the body of Sir Gilbert Mackereth, who is buried in a San Sebastian cemetery, because of unpaid taxes on the plot. Terry Dean*, of the Western Front Association, spoke about the Salford-born soldier to the BBC on a day in early May and had traced Sir Gilbert's cousin by that same evening. The Sun newspaper has paid the 330 euros (£287) tax owed on the plot. Sir Gilbert, who commanded the 17th Battalion Lancashire Fusiliers, was awarded the Military Cross for his outstanding bravery during WWI. In April 1917, he crawled into no man's land in St Quentin in France to rescue a group of soldiers who were lost and in danger. He took control and saved them all. 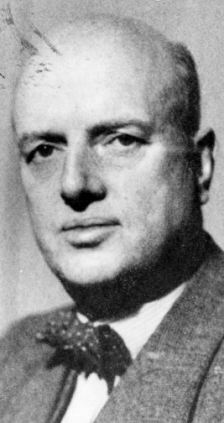 Sir Gilbert's wife died in 1979 - 17 years after her husband. They did not have any children and the couple had lived in Spain. Mr Dean, who launched the search after being notified of the tax problem, said that tracing a relative so soon was "beyond his expectations." "On Thursday night I spoke on the phone to his first cousin, John Sloane," he said. Mr. Sloane, who had no idea about the grave issue, accepted an offer from the Sun Newspaper to get the tax paid. "For the past three years, I have been searching for a picture of Gilbert Mackereth in uniform. I never in my wildest imagination expected to see the first photograph of him in the Sun," (May 10th) Mr Dean added. "The important thing is that Sir Gilbert's remains will now be reverently cared for." Mr. Dean, who laid a poppy and a note on Sir Gilbert's grave last summer, was alerted to the eviction notice by a local resident. He now hopes a memorial to Sir Gilbert can be established at the Lancashire Fusiliers Museum in Bury. Sir Gilbert Mackereth KCMG MC (19 October 1892  11 January 1962) was a decorated British Army officer of the First World War who subsequently served as a British diplomat, most notably as Ambassador to Colombia from 1947 to 1953. THE grave of a British war hero has been saved by The Sun. The last resting place of Military Cross winner Sir Gilbert Mackereth was in danger of being dug up because of unpaid taxes. The £280 bill was due to authorities in Spain, where Sir Gilbert lies buried. They had threatened to "evict" his body if it was not settled. But now we have stepped in to pay the taxes so the grave will remain undisturbed. Last night one of Sir Gilbert's relatives, his 84-year-old cousin John Sloane from Solihull, West Midlands, said: "Thank you for taking an interest in this. "It's excellent that the grave will be kept. We have to remember these things because the graves of soldiers should always be looked after." Manchester-born Sir Gilbert was a humble clerk who joined the Army at the start of the First World War in 1914. In 1916 he was commissioned into the Lancashire Fusiliers and won his medal in France the next year for dashing 100 yards to save stranded soldiers under heavy fire. He ended the war as a lieutenant colonel and went on to be a distinguished diplomat. He died in 1962 aged 70 and was buried in San Sebastian, northern Spain. His childless widow Lady Muriel returned to England and died in 1979. After her death taxes due on the cemetery plot piled up and authorities, who could not trace any relatives, served notice they planned to exhume Sir Gilbert. The threat came to light after a local resident contacted amateur historian Terry Dean in Britain to warn him. Terry thanked The Sun for intervening and said he hoped a memorial to Sir Gilbert may be added to the Fusilier Museum in Bury, Greater Manchester. A former British diplomat, whose only remaining relative lives near Solihull, hired a hit-man to kill Arab rebels and organised the burglaries of their homes in a James Bond-style espionage campaign in Syria during the late 1930s. Lieutenant Colonel Sir Gilbert Mackereth MC, whose cousin John Sloan resides in Knowle, was Britain's consul in Damascus. The Post reported earlier this month that Mackereth's body was to be repatriated from Spain, where he retired, after a row over the cost of tending his grave. Now a new book recounts the tale of how Mackereth took clandestine action when it became clear that Arab rebels, who were then trying to overthrow British rule in neighbouring Palestine, were using Syria as a safe haven. The country was ruled by the French, but when they refused to help Mackereth, the British diplomat took matters into his own hands and become a real-life 007. A diary belonging to a senior British policeman who knew Mackereth, which was found by historian James Barr in Oxford University's Middle East Centre Archive, shed light on the decidedly undiplomatic tactics that Britain's man in Damascus then used. Barr recounts how Mackereth hired a hit man to intercept parties of rebels as they crossed the border into Palestine. In one of these operations the sniper killed three gun-runners, and captured nearly 40 weapons and two boxes of dynamite. Mackereth also organised burglaries at the homes of leading rebels, including Nebih al Asmah, whose brother was the Syrian minister of the interior. A coded diary was hidden in Al-Asmah's house and Mackereth was able to decrypt and reveal that Arab officials had sanctioned the killing of a senior British official in Nazareth weeks earlier.